A marvelous celebration of traditional aesthetics and contemporary vogue, this multicolored Anarkali set from Ranas will give your feminine grace a defined character. Tailored from soft and lightweight net & brocade fabric, this set impresses its profound ethnic artistry through its appeal. 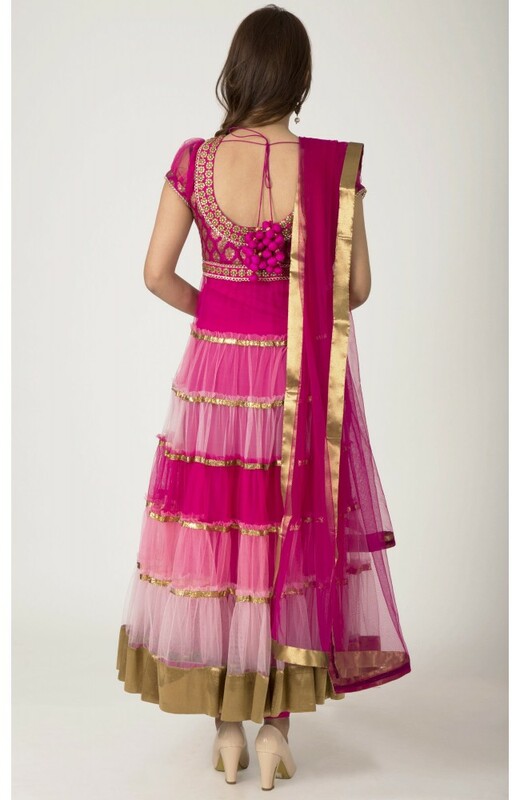 Decked up with kundan & zardosi work, this set comes with a net dupatta and a stitched silk chudidar bottom.